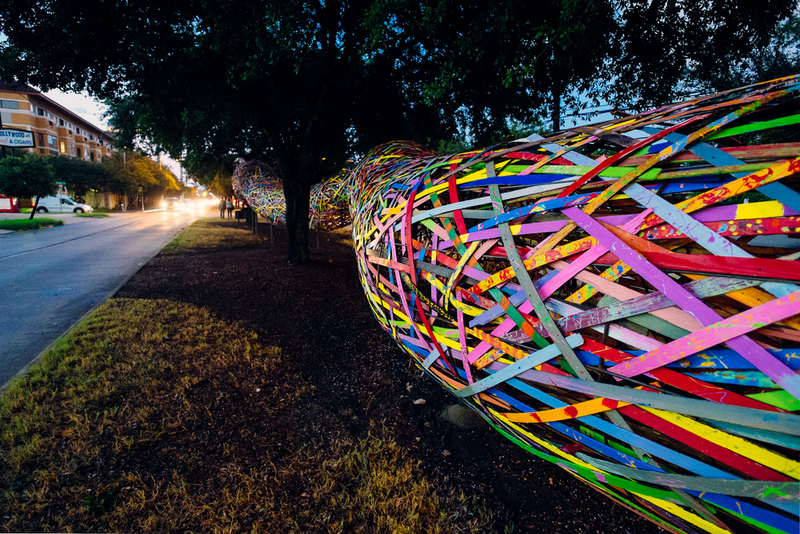 Established in 2012-2013, The Esplanade Project is a community driven, temporary public art installation project designed to invigorate Houston’s lower Montrose Boulevard and the surrounding neighborhood. This program is in partnership with the City of Houston and is a pilot project for the City of Houon. Participating artists receive an artist fee for the design, creation, and installation of their work as well as funding for materials and associated expenses. 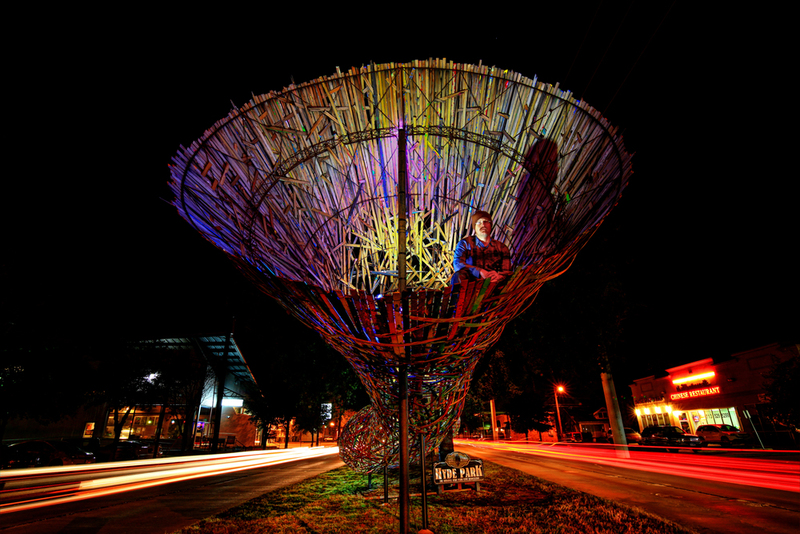 Funnel Tunnel, the first project, is a 180’ sculpture and temporary public art installation on the esplanade directly across the street from Art League Houston by Houston artist, Patrick Renner. Renner’s project. The sculpture was on view from August 2013 through January 2015 and dedicated to the memory of Houston artist Lee Littlefield. Art League Houston is excited to announce that the Funnel Tunnel will take on a new form in New Orleans’ Poydras Corridor! This summer the Funnel Tunnel will get a new life as part of a project to bring attention to the visual arts and the artists of post-Katrina New Orleans. Local artists will assist and install the artwork on a Poydras Street median.